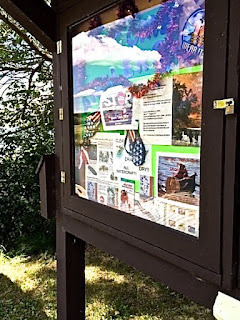 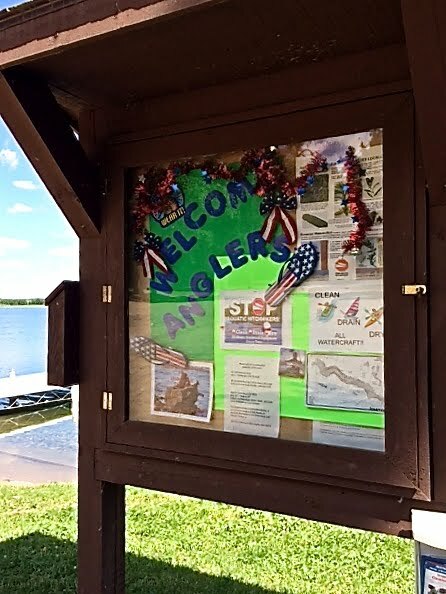 Thanks go to Nancy Baer and Linda Hansen, who did a terrific job of refreshing and decorating both the north and the south public accesses for Long Lake visitors! Check out the fun flip-flops in red, white and blue! 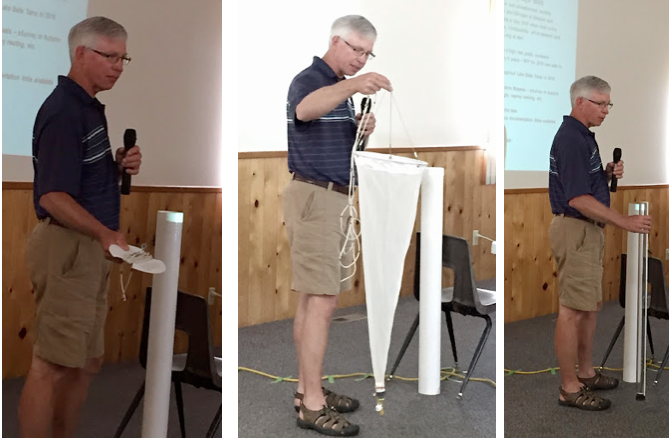 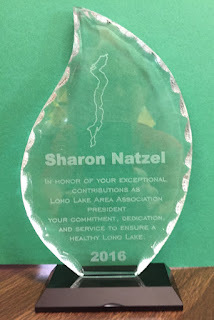 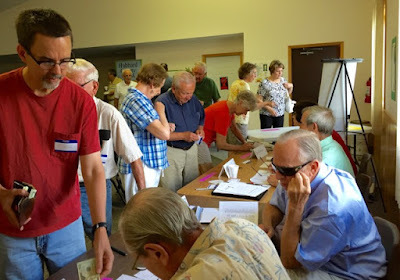 Sharon Natzel was formally recognized at the Annual Meeting this year in appreciation for her years of service to Long Lake Area Association. 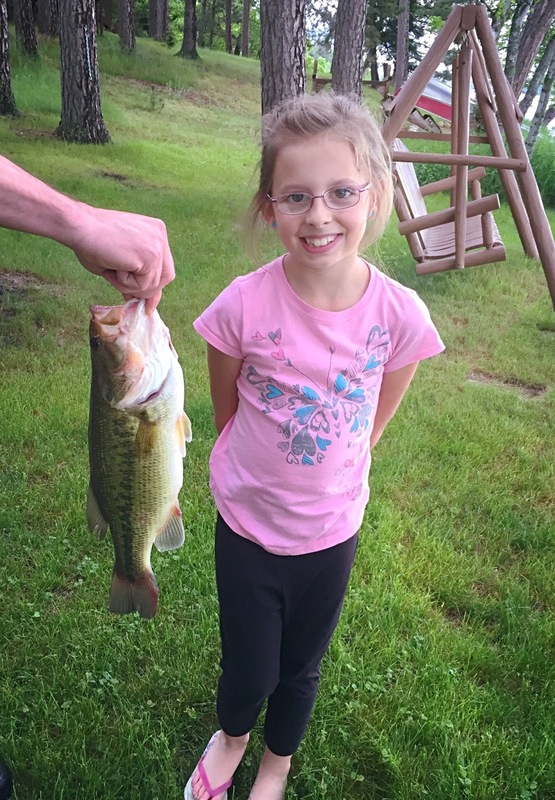 She served four years as LLAA's President and has volunteered many hours of service in a variety of ways toward the good of our lake. 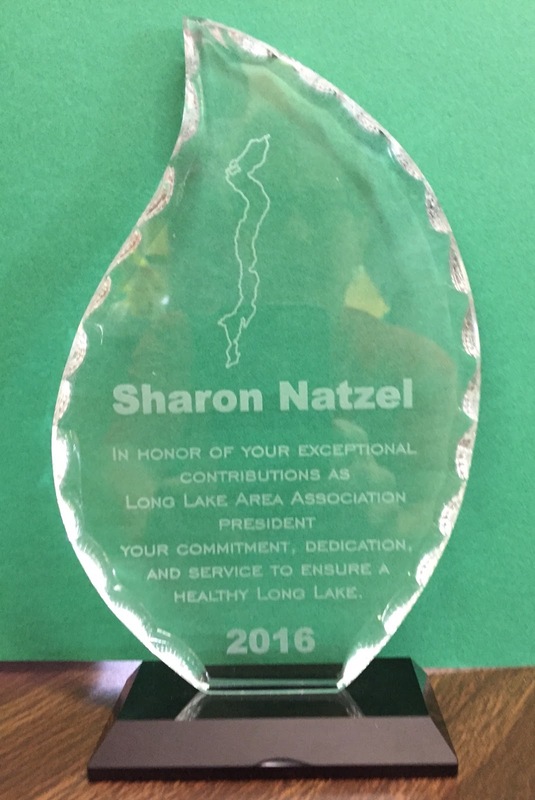 Sharon's award for her commitment, dedication, and service is in the form of a crystal water drop with an etching of Long Lake. 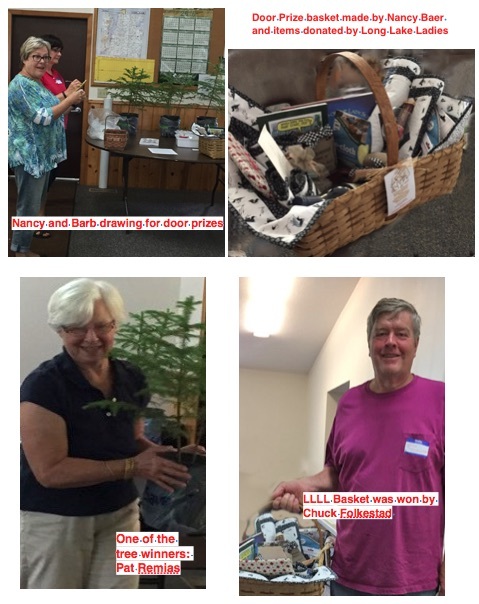 Sharon's term limits allow her to continue to serve LLAA as Treasurer and as an Alternate for Neighborhood #3. 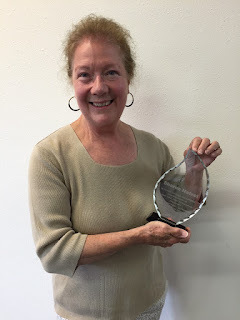 She is excited to work with Monika Wilkins, our new President for LLAA and the LLAA Foundation.